Aary here. Still working on editing that video. Turns out being a college senior is busier than I thought. Tingle and I are headed out of town this weekend to hang out with our crew, and adventure that has now become referred to as Kandi Con! Basically, what started out as an excuse for all of us girls to get together and be crafty turned into a LETS-GET-EVERYONE-TOGETHER-FOR-A-CON-THAT’S-NOT-REALLY-A-CON con. The boys felt left out and somehow wormed their way into our plans, so now the entire Con-Sluts group is going to be there, and good times will be had by all. We will be out of town all weekend, but I promise an update and video coverage of that as well! “Soundwaves & Heartbeats – I really loved mixing this set, all of the ups and drops and a hint of trance to take you and your hands up high and keep them there!!! This was a fun set to record live and really REALLY hope you all love it!!! I really enjoyed this mix, and I am sure you will too! Much love, Nerdlings! Drop any music you’d like to share with us down in the comments section. We would love to hear what gets you pumped! But no, really. Hi guys! Aary here. I wanted to let you all know that we survived our adventure to Ohayocon! We have lots of good video, stories, and pictures to share, but right now things are pretty stressful and I am taking a much needed break just to chill and not do a damn thing. If you found us because of the cards we gave you (Bob Ross and others, you know who you are), please check back within the next week or so. I will be editing all our video together for your viewing pleasure next week, as well as writing a lovely run down as to what happened where and when. Thanks for hanging in there. Until then – this music video really lifted my spirits this week, and I hope you enjoy the song as much as I do! Helloh, readers! Aary here. Today I’d like to talk about my feelings regarding the recent announcement of Pokemon X and Y. Like most Pokemon lovers, I’ve been there since the original 151. My very first GameBoy Color game was Pokemon Yellow, and I loved nothing more than wandering around that little tiny screen trying to “catch ’em all,” with trusty Pikachu at my side. Me and my best friend in 5th grade would spend HOURS playing all the games, side-by-side on the couch, trying to get all the legendary Pokemon. I temporarily forgot my love for Pokemon (sacrilege, I know) as I hit high school, and passed my games down to my kid brother, who loved them just as much as I did. He’s since outgrown his interest in them, and I got back all my games, consoles, and more just a couple years ago. I’m now the proud owner of Yellow, Emerald, Sapphire, Ruby, and Heart Gold (some others I have on emulators, but shhh don’t tell). 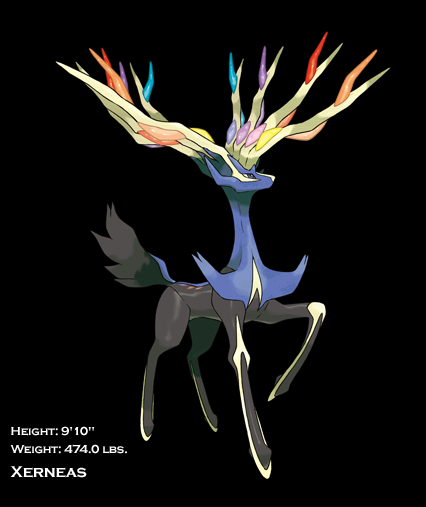 I haven’t been this excited about Pokemon in a long time, and I’ll tell you why: I was, and still am (a little), a bit old fashioned. The Pokemon Black and White series appalled me. I was disgusted at the lack of creativity when I came across Pokemon such as Chandelure and Trubbish. A CHANDELIER AND A GARBAGE BAG, PEOPLE. Not to mention the starters just looked too… cuddly? Squishy? I’m not sure what my issue was. Maybe I was being picky. I don’t know. Either way, I couldn’t bring myself to buy the games. Then there was this announcement for the 3DS! This game LOOKS like it is been the one we have been waiting for. How many times have we said that Pokemon needs to create a game with a 3D environment? It is not quite the bird’s eye view that we are used to anymore, but still (in my opinion) gives off the feel that all the other games have given. If it is anything like the video shows, I think we are in for a real treat. I like the starters a lot, much to my surprise. The only one that really confuses me is Chespin, the grass type. He looks like hes only a grass type because he is wearing a bonnet of some sort. Is he a rogue chipmunk/leafy green hybrid or what? I don’t really know. Fennekin, the fire type, looks like he has some real potential evolution-wise. Who doesn’t love a fox? Froakie, the water type, looks pretty cool too. He’s your pretty stereotypical water type though, so I don’t have much to add to him. 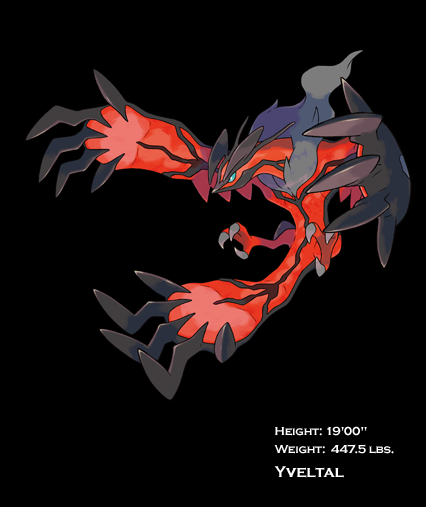 All these photos come from the Pokemon X and Y Nintendo page, they are not mine (obviously). If you want to see the site, click here! They have tons of screen shots (albeit not finalized) of the game. What’s your favorite Pokemon? Which game is your favorite? What do you think of the changes they are making? Let me know! 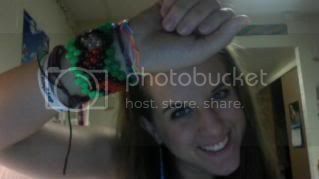 It all started with these two bracelets. Actually, they are called cuffs. 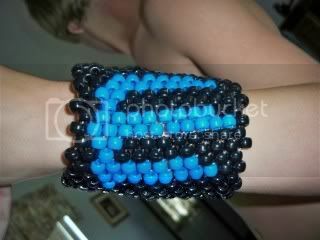 Kandi cuffs. The first one was a gift. The second one was a contest prize. 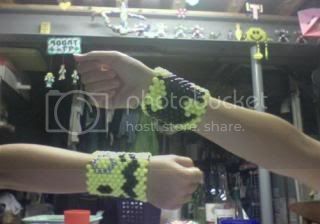 They are made from pony beads and stretch cord. They are traded and given as gifts. 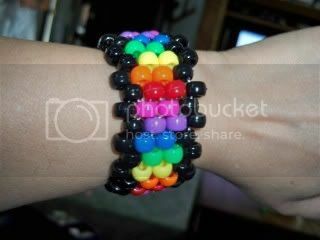 A simple google search on “kandi cuffs” leads to an abundance of how tos and patterns. My college age daughter and her friend came to visit for a week. They were thrilled when they found out I had a stash of pony beads left over from my days as a Girl Scout leader and other craft activities that I no longer needed. It did not take them long to get busy. 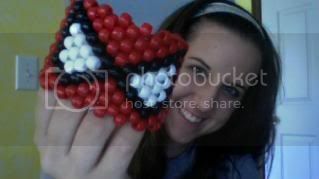 Well I could not have all this crafting going on around me without me wanting to try my hand at it. Even my son found it hard to resist. Hey nerds! Just wanted show my face and let you all know that I’m still alive 🙂 Here are the new songs for this weeks Must Hear Music- a sick remix of Misty Mountains by Dorincourt and the most adorable EDM song I’ve ever heard, straight from Kill The Noise. Comment and let us know what you think!